The power of digital channels and technologies lies not in their ability to help organisations conduct 'business as usual' a little smarter and cheaper, but to totally re-imagine their business model - from what they produce, how they do it and how they engage with customers (to paraphrase Michael Hammer and James Champy). So rather than just replicate your current brand, services and products on the Web and in social media, how should you innovate and transform the organisation to harness the power of digital. We have approaches and methodoligies to help you understand what's possible in the Digital Age, test it with your audiences and how to transform the organisation. In the 70s and 80s the nations that went into space replicated experiments from their earth-constrained labs to see how they’d behave in space. 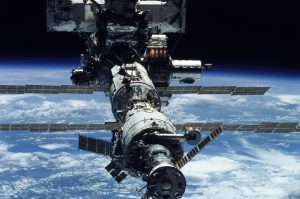 That done, they collaborated and build the international space station to undertake entirely new experiments and create new ways of understanding earth and space made possible by a borderless, atmosphere free space. This concept looks at not replicating old business models in the digital world by re-imagining relationships with customers, develop new services, open new markets and imagine new ways of doing your business using digital.